Dogma are certainly given ample help on their sophomore release: strings, a choir, a flute player and four vocalists appear this time round. Don't let the vocalists scare you. Well, not too much, anyway. Only two tracks feature vocals of any consequence (unless you count the one with the choir, and even that's nothing to be frightened of; it's completely devoid of that horrid Mormon Tabernacle quality most choirs exude from their very pores), and only one of them ("The Place") has that annoying "wanna have a hit-single" quality. Despite that one track, the band have grown by leaps and bounds since Album. Fernando Campos' guitar playing has grown more confident, Renato Coutinho's keyboard voicings more original and vital. 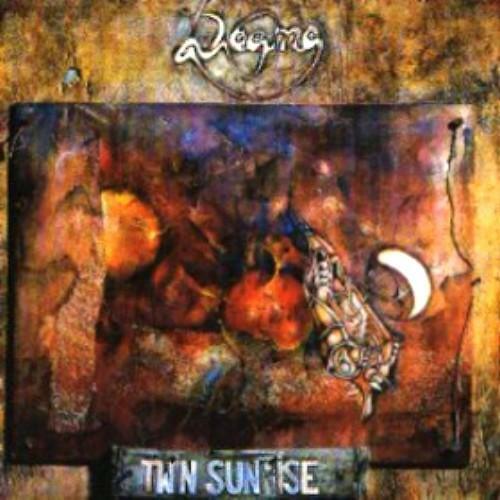 This coupled with an improved compositional ability and the band's already impressive rhythm section, makes the rest of the album quite impressive indeed, the two epic tracks "The Landing" and "Twin Sunrise" especially. This brand new album by Brazilian band Dogma showcases a wider instrumentation in which Fernando Campos' acoustic guitar brings on many delicate moments, alongside compositions that are making more place for emotional expressions. The addition of a string section, flute, a choir, and actual vocals on two tracks personalizes this largely instrumental music played by a standard combo of guitars, keyboards, bass, and drums. Still rooted in the melodic domain, it rises above standard fare with the help of a steady, if not downright sober, approach that highlights the expressive content of the material being presented on this follow-up to their debut Album. At times very melodic in the neo sense, it still keeps a fresh attitude, giving in melodies just enough to underline a motif, retaining globally a clear perspective of progression. The atmosphere of most musical ideas have time to develop into their own lives, even in shorter pieces. What's new, when compared to their first disc, is the evolution of the compositional level, now making a larger place for an intuitive delicacy that shrouds the arrangements. If you have liked Dogma's first offering you'll savor this new one on the basis of an expanding expressive component.